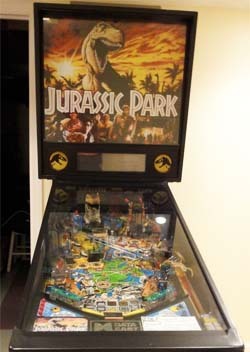 Check out these Data East Jurassic Park Pinball Machines for sale. You will also find parts and accessories for current owners including the scoop light mod, plastic toy dinosaur, LED kit, rubber ring kits, decals, ramps, manuals, translites, flyers, and sling shots plastics. If it's not Jurassic Park, it's Extinct! 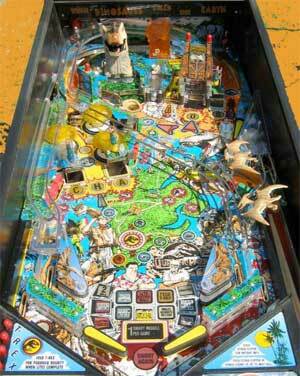 A Pinball Adventure 65 Million Years in the Making.